Shop Pokémon: Pokémon comes to the big screen in their live action debut! A murder mystery unfolds and the only person who can solve the case is Detective Pikachu?!?! We’re super pumped for Detective Pikachu and to celebrate we’re giving out tickets to see the movie TWO WEEKS EARLY! Isn’t that outstanding? Are you interested in seeing one of the summer’s hottest movies before the summer even starts? All you’ve got to do is enter to win by clicking the link below! Shop Pokémon: DETECTIVE PIKACHU: The story begins when ace detective Harry Goodman goes mysteriously missing, prompting his 21-year-old son Tim to find out what happened. Aiding in the investigation is Harry’s former Pokémon partner, Detective Pikachu: a hilariously wise-cracking, adorable super-sleuth who is a puzzlement even to himself. Finding that they are uniquely equipped to communicate with one another, Tim and Pikachu join forces on a thrilling adventure to unravel the tangled mystery. Chasing clues together through the neon-lit streets of Ryme City—a sprawling, modern metropolis where humans and Pokémon live side by side in a hyper-realistic live-action world—they encounter a diverse cast of Pokémon characters and uncover a shocking plot that could destroy this peaceful co-existence and threaten the whole Pokémon universe. The post appeared first on . Shop Hellboy:h Mike Mignola’s signature creation is back and he’s ready to raise some hell! Hellboy makes his much-anticipated feature film return next Friday, but you don’t have to wait to watch him unleash his fury! We’ve got your chance to see the fiery film this week! 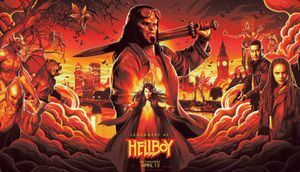 Do you want to win tickets to see Hellboy in NYC this Tuesday? Give me a HELL YEAH! All you’ve got to do is enter to win by clicking the link below! Shop Hellboy:h HELLBOY: Hellboy is back, and he’s on fire. From the pages of Mike Mignola’s seminal work, this action packed story sees the legendary half-demon superhero (David Harbour, “Stranger Things”) called to England to battle a trio of rampaging giants. There he discovers The Blood Queen, Nimue (Milla Jovovich, Resident Evil series), a resurrected ancient sorceress thirsting to avenge a past betrayal. Suddenly caught in a clash between the supernatural and the human, Hellboy is now hell-bent on stopping Nimue without triggering the end of the world. The post appeared first on . Captain Marvel Wax Figure at Madame Tussauds New York “Don’t you ‘lady’ me, son. I’m an avenger.”- Captain Marvel Step aside Marvel Universe—there’s a new hero in town and SHE’s taking the world by storm! Now soaring among the stars, Carol Danvers is transformed from a merely brilliant pilot into one of the most powerful Super Heroes in the Universe, Captain Marvel. 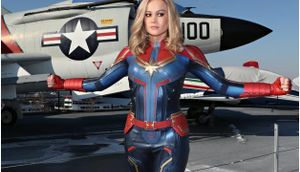 In celebration of the highly anticipated release of Brie Larson playing Captain Marvel, Madame Tussauds New York is giving YOU the opportunity to interact with Captain Marvel’s unique powers and imagine what it’s like to save the world! Captain Marvel is the total package and a force to be reckoned with. She’s a born leader with the potential to be the most powerful cosmic being in the universe. This strong and powerful female super hero joins an action-packed line-up of at Madame Tussauds New York that includes The Hulk, Thor, Captain America, Iron Man, Spider-Man and more. Purchase tickets to see Captain Marvel and the rest of the Marvel crew at Madame Tussauds New York today. The post appeared first on . Shop SHAZAM:h Fantasy becomes reality when young Billy Batson lives the dream and becomes the mighty SHAZAM! We can’t wait for the upcoming SHAZAM movie and we’re thrilled to see our pal Zachary Levi starring as the titular hero! To celebrate SHAZAM appearing on the big screen, we’ve got a big opportunity for all fans of the Big Red Cheese! Do you want tickets for you and a friend to see Shazam this Tuesday in NYC! Interested? All you’ve got to do is enter to win by clicking the link below! And of course, say the magic word! 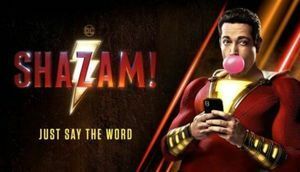 Shop SHAZAM: h SHAZAM: Billy Batson is a streetwise 14-year-old who can magically transform into the adult superhero Shazam simply by shouting out one word. His newfound powers soon get put to the test when he squares off against the evil Dr. Thaddeus Sivana. The post appeared first on . For the past 25 years, I have raised over $192,000 for .In late 2013, I founded my own upstart, , as a vehicle to fundraise for LLS and other charities. I now cosplay and fundraise at comic conventions throughout New England and have the support of many promoters and fans. What began as non-descript zombie cosplays have evolved into well-known comic and pop culture icons. I now use cosplay and photo ops as a fundraising means and am often an invited cosplay guest at shows. Unlike comics and movies, medical doctors and researchers fighting cancers and other diseases are the real superheroes as are the patients fighting for survival. Zombie Leader raises monies to help eradicate blood and other cancers. I have found the fundraising aspect of cosplaying to be both fun and worthwhile. I have met some incredible fellow costumers as well as giving donors in my travels. It’s great meeting new people and spreading the need for charitable giving. 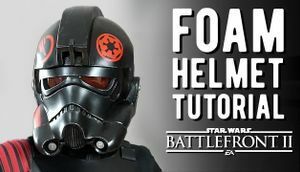 I am a proponent of cosplay in the community. When I am now at a convention, it is also not uncommon for some of the talent to take a picture with the LLS banner and me. These pictures reach the talents’ fans thus increasing Zombie Leader’s charitable reach. Since founding Zombie Leader, over 85K has been raised for local and national charities at conventions & through auctions including The LLS CT-WHV Chapter’s Man & Woman of the Year Dinner. Starting four years ago, I struck up a collaboration and friendship with Gerry Gladston, COO of . Gerry approached me with the idea of having LLS be the first participant and donor recipient of a Midtown Comic online sale. Once approved, Zombie Leader gathered a group of fellow cosplayers & a photographer and headed down to Time Square. Every March, the annual pilgrimage to Midtown occurs for promotion of this charitable sale. We spend an hour shooting cosplayers with Gerry throughout the store to promote their products and the sale. The reception at the store from the regular customers that happen to stumble across our shoot has always been positive as has the feedback on social media during each year’s promotion. Gerry and Midtown Comics have donated nearly 12K the first three years. We are looking forward to adding to that total for this year’s sale, which starts on March 13th (ironically my birthday). This cause is dear to me because my grandmother, Anne Zavorskas, passed away several years ago from Hodgkin’s disease–a form of leukemia. Also, many years ago, my mentor’s son, Ryan Hurley, had a recurrence of leukemia, which he was first diagnosed with at the age of three. He died at the age of 19. Unfortunately, leukemia causes more deaths than any other cancer in children under the age of 20. These instances led me to my desire to donate time and money to this particular charity. In 2016, I was a Man of the Year Candidate for the LLS CTWHV Chapter and raised 25K in ten weeks. All of my hard work and dedication to the cause has earned me the 2000 prestigious LLS “Unsung Hero” Award as well as the 2005 Mid-Fairfield County American Red Cross “Unsung Hero” award for my charitable work, both of which I deeply appreciate. I also received the 2016 Campaign Innovation Award from LLS for incorporating geekdom into my Man of the Year Campaign successfully. These recognitions are humbling and I appreciate recognition of years of hard work and charitable giving. 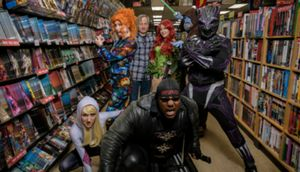 Please consider buying from Midtown Comics online for this particular sale and cause, Todd Zavorskas, Founder Zombie Leader To find out more about my cosplay and charitable endeavors, please check out the following: , , ; . The post appeared first on . Shop Captain Marvel: Review by Henry Varona In the summer of 2012, Marvel embarked on a bold new vision for one of their premier heroines. Carol Danvers, a longtime member of the Avengers, took up the mantle of Captain Marvel and changed the face of Marvel forever. Suddenly Carol Danvers transformed into one of Marvel’s most popular heroes and the “Carol Corps” (The loving name for Captain Marvel fans) had become one of the most powerful voices in the world of comics. Now, years later, Marvel Studios has launched Carol in her first film role. As a proud member of the Carol Corps, I can say that not only does this movie honor the legacy of Carol Danvers, it also provides viewers with one of the most unique heroes in Marvel’s pantheon, showing that there is limitless potential from the superhero juggernaut! In Captain Marvel, the 21st movie from Marvel Studios, Brie Larson plays Vers, a member of the Kree army fighting to protect space from the dangerous Skrull forces. As the growing conflict between the Kree and Skrull unfolds, she finds herself stranded on Earth in a last-ditch effort to stop the Skrulls from recovering a vital weapon that can lead to their victory. But as Vers investigates Earth and the Skrull conspiracy, she uncovers secrets about her own shrouded past that challenge her Noble-Warrior-Hero image, while also forging a vital relationship with Nick Fury (Samuel L. Jackson) that could hold the secret to saving the universe! My favorite thing about Captain Marvel is that it in many ways, it is not the movie the trailers made it out to be. Even in the summary above, I felt like I would be betraying the movies twists and turns if I gave away too much. In this modern age of trailers that spawn constant fan-analysis, I was pleasantly surprised to see that Captain Marvel offered much more than I expected going in. I was particularly taken aback by how Carol’s character arc unfolds. I mean, she doesn’t even start the movie as Carol, she goes by “Vers”, which plays into the deep mystery that so much of the movie revolves around. This makes the trajectory of the story all the more engaging, as we learn new things alongside the cast of characters, leading to a surprising ending that will make many fans reevaluate their expectations. Brie Larson is incredible in the role of Captain Marvel/Vers/Carol Danvers. While many were skeptical of her emotional range based on some early trailers, she proves to be a captivating and charismatic lead. Her emotions factor heavily into the story and help provide an interesting meta-analysis on the depiction of female action leads in mainstream media. In particular, many of the film’s flashbacks highlight Larson’s range, and they make me really want to see an entire movie of her life before the war. Beyond that, Larson also busts out some great comedic chops, quipping throughout the movie and besting her rivals regularly. If you’re looking for a new queen of sass, look no further. Larson does a great job embodying the best elements of Carol’s great history, effortlessly transforming into the titular role from the film’s first scene. Beyond Larson’s turn as Captain Marvel, an all-star cast of characters help make the world of story feel vibrant and lived in. Immediately, fans will recognize returning favorites Samuel L. Jackson and Clark Gregg, as Nick Fury and Agent Coulson, respectively. While Gregg doesn’t have much screen time, he makes every minute worthwhile, reminding audiences why we all fell in love with him back in the original Iron Man movie. Jackson, on the other hand, has much more to do and provides for some of the movies best moments. His friendship with Goose the cat is hilarious and heart-warming, and reveals an entirely new side to the typically grumpy character. Speaking of Goose, this lil’ kitty cat steals the show, providing the biggest laughs and tangible concern, as the action ramps up and threatens him. Don’t worry, no animals were harmed in the making of this movie. Admittedly, I would have liked to have seen more of Jude Law in this movie, as his role in the Kree army provides a unique niche in the cosmic Marvel tapestry. However, this is made up for by Ben Mendelsohn as Talos, the biggest surprise of the movie. Of course, with all of this said, Captain Marvel is much more than just another Marvel Studios production. It is also the first female solo-film in the fan-favorite universe, which puts a lot of pressure on it succeeding. Much like Black Panther did last year, Captain Marvel acknowledges this importance directly in the movie, though in slightly more subtle ways. Many of the movies most powerful moments come from Carol directly addressing the sexism that she has combated throughout her life. As shown in the trailers, Carol refuses to stay down despite those people who would see her pushed to the side or outright try to diminish her abilities. Carol Danvers is a proud and defiant woman, and she shows that she is more capable of standing alongside Earth’s Mightiest Heroes when the inevitable team-up with the Avengers arrives. Captain Marvel is a fast-paced action film that will be sure to please many fans. While it takes certain liberties from the source material, it genuinely captures the spirit of Captain Marvel and will leave audiences feeling empowered. With an all-star cast and a unique journey towards unraveling Carol’s origin, it breaks convention from many past Marvel Studios movies without feeling out of place. By the end of the film, audiences will be pumped for more of Larson’s Captain Marvel. Luckily, it won’t be long, as the release of Avengers: Endgame grows closer every day… Shop Captain Marvel: The views expressed herein are solely those of the writer, and not Midtown Comics. Additionally, Midtown Comics makes no representations as to the accuracy of any of the information expressed herein. The post appeared first on . Who wants to join the mighty Midtown Comics team in New Hyde Park? We are currently looking for someone to fill a Full-Time position in the Customer Service department. Could that person be you? 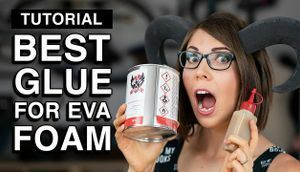 Read on to see if you are qualified! FULL-TIME HELP WANTED IN CUSTOMER SERVICE DEPARTMENT AT MIDTOWN COMICS WAREHOUSE IN NEW HYDE PARK, LONG ISLAND! We are looking for a new hero to join our team. Think of us as the Agents of Shield; we remain unseen but we are totally awesome. Basic skills required: At least 2-years experience as Customer Service SpecialistExcellent written and verbal communication skillsType 50+ WPMMust have 5 + years of advanced comic and collective knowledgeAbility to multitask in a fast-paced collective environment with live chats, phone calls, emails plus other related daily tasksAbility to work in a unified teamMust be punctual MUST be available Monday through Friday from 8:30 AM to 4:30 PM Please email your resume and cover letter to jobs@midtowncomics.com with subject line “Customer Service Job” The post appeared first on . Shop Captain Marvel: Witness the rise of a hero as Carol Danvers become the mighty Captain Marvel! We are stoked for the upcoming Captain Marvel and we can’t wait to see Brie Larson unleash her full potential as the titular hero! To celebrate Captain Marvel’s upcoming cinematic debut, we’re offering up tickets for you and a friend to see Captain Marvel this Tuesday in NYC! Interested? All you’ve got to do is enter to win by clicking the link below! Winners will be contacted VIA email on Monday morning! Good luck! Shop Captain Marvel: Captain Marvel: Captain Marvel follows Carol Danvers, a former U.S. Air Force fighter pilot, as she turns into one of the galaxy’s mightiest heroes and joins Starforce, an elite Kree military team, before returning home with questions about her past and identity when Earth is caught in the center of a galactic conflict between two alien worlds The post appeared first on . Shop Pokémon: Pokémon comes to the big screen in their live action debut! A murder mystery unfolds and the only person who can solve the case is Detective Pikachu?!?! We’re super pumped for Detective Pikachu and to celebrate Pokémon Day we’ve got our hands on some awesome posters, hats, and portable chargers! Want to get your hands on some? All you’ve got to do is enter to win by clicking the link below! 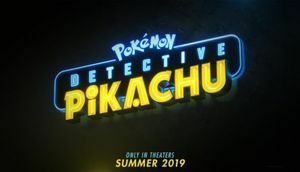 Shop Pokémon: Detective Pikachu: The story begins when ace detective Harry Goodman goes mysteriously missing, prompting his 21-year-old son Tim to find out what happened. Aiding in the investigation is Harry’s former Pokémon partner, Detective Pikachu: a hilariously wise-cracking, adorable super-sleuth who is a puzzlement even to himself. Finding that they are uniquely equipped to communicate with one another, Tim and Pikachu join forces on a thrilling adventure to unravel the tangled mystery. Chasing clues together through the neon-lit streets of Ryme City—a sprawling, modern metropolis where humans and Pokémon live side by side in a hyper-realistic live-action world—they encounter a diverse cast of Pokémon characters and uncover a shocking plot that could destroy this peaceful co-existence and threaten the whole Pokémon universe. The post appeared first on . Romance strikes in the most unusual of places. Love is in the air in the heartfelt drama, Five Feet Apart! Don’t worry, you don’t need to keep your distance, you can win tickets to see Five Feet Apart for free here in NYC! All you have to do is enter our contest and you can bring a guest to see Five Feet Apart this Wednesday! So what are you waiting for? Just lick below! Five Feet Apart Stella Grant is every bit a seventeen-year-old but unlike most teenagers, she spends much of her time living in a hospital as a cystic fibrosis patient. Her life is full of routines and boundaries – all of which is put to the test when she meets an impossibly charming fellow CF patient named Will Newman (Cole Sprouse). Though restrictions dictate that they must maintain a safe distance between them, Stella gradually inspires Will to live life to the fullest, but can she ultimately save the person she loves when even a single touch is off limits? The post appeared first on . Reading is reading, right? If I enjoy it, I should be willing to indulge in all its forms. But I don’t. In fact, I know I’m not alone as the only finicky reader out there. I like what I like after all! I tend to stick with certain types of characters, especially ones that remind me of myself; lighthearted, intelligent, sarcastic adventurers. Most of the time, the only prerequisite for me liking a character is just if they resonate with me. I also tend to read within a genre. Fantasy and Sci-fi stories engage me the most, even though I’m not opposed to a good mystery or biography every once in awhile. The trouble is, once you’re entrenched in a reading genre or community, it becomes difficult to gauge what books, in unfamiliar genres, would resonate with you. I’ve always been a novel reader. But since I’ve picked up the habit of reading comic books, it’s been a trial and error experience discovering what I actually like/don’t like. 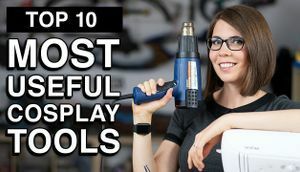 Months of invested time and research- and what do I have to show for it? Well, I’ve learned a lot about characters and story. I’ve learned that comic books and novels are siblings, and that they offer very similar resonations. I’ve learned that some characters and stories from novels remind me of comic characters, at that, while waiting between book 1 and book 2 (or 2 and 3) of novels, I could read comics to fill that hole. Each type of novel or reading experience creates a maw of expectation in you. A yearning that can’t be filled until the next book in the series comes out. But I’ve found that related comics fill that maw of desire. Sure, it’s not the same; not the same characters, or the exact same story line- but it satisfies the same itch. Each comic story supplemented the novel. 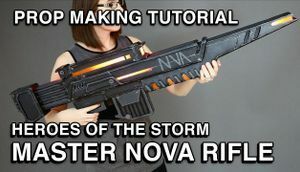 So now I’ve learned to do it both ways! Now I’m here to pass these novel suggestions on to you in a recurring blog series I am going to call “If you like this.” So if you’re stuck waiting between issues of comics- or maybe your favorite character has been killed, or their 12 issue run just ended, I implore you to give some novels a try! I’ve got the novel suggestions for you here based on what characters you love from comics. These are handpicked novels all read by yours truly so I can guarantee the quality of reading enjoyment! Jump in there, pick one up, and then come back and leave a comment to let me know if the books have satisfied your itch! Or, you can come back and argue that Kvothe is nothing like Peter Parker. I’ll be happy to debate you J If you like Spider-Man…Check out “Name of the Wind” from Patrick Rothfuss I’ve been known to refer to this book, ‘real life Harry Potter.” You might not like the Harry Potterverse, but you know the gist of the story: Orphan kid gets invitation to elite Magic School and his whole life of despair turns around; he finds where he belongs, makes meaningful friendships, discovers that his parents left him wealth, the elite members of the faculty look out for him- all while he searches for the truth behind his parents death, and seeks to stop the murderer of his parents from destroying the world. Sounds nice right? Well, Kvothe’s story isn’t quite so filled with hugs and heroes. Instead, it follows a boy who loses his family to a group of specter like murderers. Much like some other villains, they are so evil that no one will speak or write their names (sound familiar?) He seeks out a Magic University, but much like real life, nothing goes right for him. He’s poor and can’t afford tuition so he works extra jobs and sleeps on the street some nights. Teachers have it out for him. Fellow students torment him and when he stands up for himself, he’s punished. All he has is a dream, and the reality that he owes it to his family to become something great; to exact revenge, but also to not let his intelligence go to waste. Because with great intelligence, comes great responsibility. Fans of Peter Parker’s clever quips and intelligent schemes resonate with Kvothe’s approach to life. Also, both of them struggle with the grind of day to day life, and trying to balance it with being extraordinary, all the while (unsuccessfully) chasing after the girl. If you like Avengers, Marvel Zombies, or The Walking Dead… check out the Ex-Heroes series from Peter Cline OK this one is a no brainer (get it, like zombies?) The premise is this: superheroes suddenly appear from freak accidents. But just as the world seems safer having heroes in it, the zombie apocalypse hits. The team of heroes: Stealth, Zzzap, The Mighty Dragon, Gorgon, Cerberus, The Regenerator, Cairax, must work together to keep the last of humanity safe. They are committed, for varying reasons, to defending the population of Hollywood which is finding refuge in an old gated movie studio lot. This odd group of heroes all with different ideas, values etc and they must learn how to communicate and become a team, all the while dealing with all the fun that zombie hordes bring to any story. And I won’t even mention superheroes turned zombies! The character are great, the storytelling flips between characters- allowing you to really understand their mentality, goals, and origin story. Because, let’s face it: it’s the end of the world, and no one gets out of that unscathed! The series is currently 5 books: Ex Heroes, Ex Patriots, Ex Communicate Ex Purgatory and Ex-Isles If you like Battle Royale, Hunter X Hunter or Bleach… you’ll love the Red Rising books from Pierce Brown Red Rising paints a picture of a futuristic world where colors dictate class. The Gold’s are the upper class; genetically altered to be bigger, stronger, and…well, more gold. Gold hair, gold eyes, gold skin; at least they’re consistent! But when a member of the lowest class, the Reds, infiltrates the Gold’s society, he’ll learn that graduating from the Golden Academy has a powerful final exam: war. Darrow, along with the rest of the graduating class is dumped into a crater. They are meant to form groups and alliances and make bloody war against on another until one group enslaves the rest. They aren’t allowed to leave until they do. It’s a wild and crazy free for all filled with alliances, betrayals, insane battles, and of course, murder. The plot twists and world-building alone are enough to make these books amazing, but Pierce Brown kicks it up by having some of the most interesting battles and battle plans. Think of Hunger Games; you know, if Katniss was a boy and a strategy expert…and was in space. If you like Batman and the Punisher… look into the Half a King Trilogy from Joe Abercrombie If you like dark revenge stories, this one is for you! It’s a tale about the deformed prince in a Viking like kingdom. Yarvi’s has no aspirations for the throne; he leaves that to his parents and his brother; all great warriors. He happily looks forward to the day that he can take his vows in service, giving up his title and family to become an advisor. But when he wakes up and discovers his father and brother’s deaths, he’ll swear a blood oath; a sun oath and a moon oath- that he’ll exact vengeance and destroy all of those who were involved with their untimely demise. This trilogy follows his dark revenge, all the while introducing you to the most amazing cast of supporting characters who join his team! While Yarvi excels in being a man with ‘deep cunning,’ a mastermind of plotting, his schemes turn the whole world upside down. But isn’t revenge worth it? Frank Castle and Bruce Wayne agree that it is, no matter what the cost to your life, happiness or sanity. If you like Fantastic Four, Thor or Superman… check out the Acacia Series from David Anthony Durham Take a happy group of royal siblings; four siblings, in fact. They each have their own skills- the oldest is the leader. The second is the beautiful charmer. The third is the cynical tomboy. The youngest is wild and carefree. Together, they are the heirs to the throne of Acacia. But when a royal coup leaves them orphaned, they are whisked away to the four corners of the world to hide from the wrath of the new King. Now, they must bide their time, scheming in the shadows, unaware if their siblings survived, or if they are the last. What secrets will they uncover from the corners of their world? Will one of them turn against the others? Will they regain the throne…or will they live so long in disguise that they give up on the life they lived before? I really enjoyed this trilogy! It had a lot of moments that caught me by surprise, and the characters all felt very real and human. The first time I read it, I referred to it as “Game of Thrones lite” all the intrigue, but half as heavy. No spoilers, but this book has one of the most satisfying, beautiful endings of all time. Not one to be missed! Well that’s my list for this time folks. Keep an eye out for more of my literary picks, and if you took any of my suggestions on reads, feel free to leave me a comment on the blog, , , or any of Midtown Comics social media platforms and let me know what you thought! Author: KJ Linder The views and opinions herein are those of the authors and not Midtown Comics. Midtown Comics does not accept any responsibility or liability for the views and/or information provided. The post appeared first on . When approached about writing an article for Black History Month, I didn’t want to look backwards, because History is being made every day. Enter writer Vita Ayala, a striking talent honing her skills in comic book writing through the DC Talent Development workshop and debuting amazing works for the comic book world to save the day! I was fortunate to meet Vita a few months ago, and was instantly taken aback from her charm and charisma. There are writers, and then there are talents. There are those who tell a great story, and then there are those who make you feel a good story. The difference is passion. Vita’s passion was as obvious to me from our first encounter, and I know that passion will carry her far in her career. This passion has opened doors for her to from writing Livewire, Supergirl, Wonder Woman to Submerged (and more! ), she’s worked for the powerhouse publishers sharing her talent across the pages of comics. So when this opportunity arose to tell a story for Black History Month, I wanted her voice to be included. Lucky for me I had the privilege to speak to her about her feelings about Black History Month, her life and experiences, and her impressions of how race and gender influence her field. I can’t imagine how it feels to be on the cusp of history, adding a valuable voice to the fabric of comics being made today. So naturally, I asked her (along with a handful of foodie questions! ): 1. What do you think American Society as a whole thinks about when they hear “Black History Month?” I think it depends on what sub-group of society we are talking about. Generally, I think, it is treated as the time of year we are allowed to celebrate and acknowledge the accomplishments and struggles of people from the African Diaspora. Like at Christmas, when you are allowed to listen to the music and wear the ugly sweaters and people nod and accept it because it is that time of year. 2. Black History Month was created to give not only respect, but a voice to the community, but considering what is going on in this country, what does Black History Month presently mean to you? I think this is a month in which we ask for the very basic human empathy that – especially in the last few years – is often not extended to us as Black people. Now more than ever, it is important to uplift and celebrate not just WHAT Black people have done for America (we are more than the things we make/produce/invent/etc), but WHO we are. We have a history that is rife with adversity, but also JOY, and we need that joy (our joy) and ourselves as people to be valued. 3. As far as minority representation in comics (and the larger media) is concerned, what was your relationship/experience with it like growing up? Were you ever cognitively aware of misrepresentation and erasure? How is it different from your experiences now? I think I had a sort of double advantage coming up, because I grew up in New York (Alphabet City), and most of the people I knew and saw everyday were some sort of Brown. Even in school, most of my classmates were of color, many Black and Lantinx, so I viewed the world through a lens that centered people of color. I read comics as a kid, and also grew up watching Science Fiction and Horror, where even though very much sidelined, people of color EXISTED. I often misidentified white people in media as Brown (Wonder Woman as Puerto Rican and Dr. Strange as half-Chinese most famously, haha). I think it hit me first in prose. We were CONSTANTLY reading about white people – especially white boys and men – doing things, and at best Black people were servants and villains. And then from there, I started to reexamine the characters I thought of as of color, and realized that I had been doing a lot of erroneous filing in, and it really hurt. I suddenly felt like I was dying of thirst while adrift in this ocean of water that could not sate me. Things have VERY much improved. It is truly amazing the changes even the last decade has made. In really fleshing out older characters of color, really making them three dimensional, and in the creation of new characters and stories that depict versions of people who weren’t seen before. 4. In regard to accurately depicting diversity, what do you see for the future of comic books? I couldn’t know for sure, but the fact that comics are now more accessible than ever (in terms of creating them), I think that we will see more and more inclusion and authentic Own Stories. It would be VERY hard to put that genie back in the bottle, considering how hungry readers are IN GENERAL to see new and inclusive stories. I am very hopeful. 5. Your characters always feel fully realized and emotionally 3-Dimensional. It’s clear that you put a lot of heart and thought into them. How have your life experiences impacted your work and the way you build your characters? Absolutely! I try to connect with each character I write – whether creator owned or on a work for hire project – try to find something in me that can empathize with them. When I create the characters whole cloth, I get to really think about what I want each character to represent, but even WFH leaves a lot of room to play. I am a huge fan of world building, and characters are a very important part of that process. 6. Everyone has a fictional hero; typically, the ones we are drawn to the most are the ones that reflect ourselves, either in representing a part of who you are, or a dream of what you want to be. What character (comic book or otherwise) do you relate to the most? Why? My top three characters of all time are Xena, Wonder Woman, and Renee Montoya. These are characters who make a very conscious choice to use their power (whether it be their skills, strength, or authority) to do good. Renee Montoya was the first time I can remember seeing a queer Latina character in anything that wasn’t played for a joke. Her struggles with anger and depression speak really deeply to me. Her choice not to give in to the urge to seek vengeance (which she totally would have gotten away with) moved me, as did her drive to helping people, even after she gave in the badge and gun. 7. Comic books have been around for so long, and some people out there wish nothing would ever change about them. Yet, no industry or genre is perfect. That’s why they must grow, evolve and adapt to the culture around it in order to survive. What is one thing you hope comic books or the industry will evolve, moving forward? I think comics is one of the most accessible and welcoming mediums for people able to experience them. They are ways in which people have been able to see themselves as fully realized characters long before most of mediums, and a wonderful vehicle for empathy. I hope that as an industry, we don’t lose sight of that. 8. What inspired you to get involved in an industry that historically has been produced by and represented predominately white male culture? I grew up in a city of millions, where you could find all sorts of things that maybe you couldn’t other places. My comics had Brown people in them from the beginning. And as I continued to read, I was exposed to independent comics and then manga. Maybe the mainstream was for and by cis-het (mostly white) men, but comics for me was much richer and broader than that. What made me want to get into comics is the desire to tell the stories that I needed to see as I was coming up, but didn’t. I write for younger versions of myself, and for people different than me because representation is key to empathy. 9. Every creator brings something special and unique to their work, whether they intend to or not. A good character is like a good meal, with layers of flavors to be enjoyed. What flavors of your writing style do you hope your audience tastes? I can only bring my own perspective to my work. Whether I am writing characters that are very much like me, or not at all, everything will be through the lens of my experience. I hope that people that read my work find themselves connecting with my perspective, whether or not we are alike. 10. And just for fun, because the weather has been so crazy this month: What’s your comfort food on a cold day? Knishes! I don’t get to have them much anymore, but that is the perfect cold day snack! Also pasteles… Author Kristen J Linder This article expresses the opinions of the author, and not the opinions of Midtown Comics The post appeared first on . HELP WANTED! FULL TIME HELP WANTED IN THE PURCHASING DEPARTMENT AT MIDTOWN COMICS WAREHOUSE IN NEW HYDE PARK, LONG ISLAND! Who wants to join the mighty Midtown Comics team in New Hyde Park? We are currently looking for a Full Time Buyer’s Assistant for our Purchasing Department. Could that person be you? Read on to see if you are qualified! Enter the fabulous world of comics and work for the premier retailer. 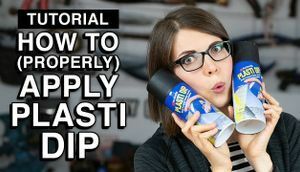 In addition to your natural born love of comics, the following are the basic skills required: Skills and Abilities: Expert in purchasing, inventory and cost reduction systems and methods. Negotiate purchasing agreements with suppliersExcellent interpersonal skills including a proven ability to successfully interact and foster open dialogue with vendors, internal departments, field operations and Customer base.Ability to Organize and execute assigned projects according to their individual requirementsSuperior organization, attention to detail and analytical skills with emphasis in managing multi-site requests, workload prioritization.Able to work independently on assigned activities or as part of a structured team as required.Must demonstrate and maintain an extremely high regard for confidential and sensitive information.Provide purchasing information by collecting, analyzing and summarizing data and trendsResolve shipment error with suppliersOversee all phases of inventory movements, including ordering, re-ordering and transfersResponsibility for maintaining inventory according to stated levelsCreate and implement new processes to reduce inventory and waste.Insure purchasing information is updated – pricing, unit of purchase, etc.Monitor shipments to ensure that goods come in on time and trace undelivered goodsReview/ resolution of open orders to ensure product delivery expectations are met.Ability to identify and cultivate new trends in the market placeAbility to create and indentify new product linesAbility to simplify and communicate complex data/informationPerform other duties as requiredExpert in Microsoft Office, Word, Excel, Access and PowerPoint. Knowledge & Experience Must know the Toy/Merchandise Industry1-2 years as Buyer’s Assistant Schedule Hours: Monday through Friday from 8:30 am to 4:30 pm Think you are the right person for the job? Please e-mail jobs@midtowncomics.com, with your resume, cover letter, and the subject line: “Buyers Assistant” We hope to hear from you soon! Thank you, Your friends at Midtown Comics The post appeared first on . Happy Birthday to the Great Noel Neill: The Screen’s First Lois Lane Noel Neill clocked more screen time as Lois Lane than any other actress ever. With her endearing portrayal, she won the hearts of millions of Superman fans for decades to come. Co-starring with George Reeves, Noel Neill was Miss Lane in TV’s The Adventures of Superman from 1952-1958 for a total of 78 episodes! The romance between Superman and Lois was always teased, but never took flight. This was presumably due to potential backlash from sponsors in the 1950s. There was an exception, however in one very special episode. Often cited by Neill as one of her favorite episodes, The Wedding of Superman found the Man of Steel unabashedly showing his love for Lois, and asking for her hand in marriage. After Superman: Beloved as Lois Lane, Noel Neill found a second career on the college lecture circuit in the 1970’s. There, legions of now grown up fans welcomed her and the charming stories of her years as “Miss Lane.” Though we lost her in 2016 at age 95, her memory lives on. In fact, a life size statue of Lois Lane–in Noel Neill’s likeness–stands in Metropolis, Illinois. For many, Noel Neill has always been, and always will be…Lois Lane! Fun fact: Though she was the second actress to portray Lois Lane in the show The Adventures of Superman, and best known for the role, Noel Neill was actually the first actress to ever play the character on screen! How can that be? Easy. Phyllis Coates played Lois Lane in the first season, but Neil took over afterward, reprising the role she originated in the 1940’s Superman serials that starred Kirk Alyn. Why this Lois Lane is still so relevant: In the pre-feminist 1950’s, Noel Neill’s Lois Lane was a ground-breaking, independent, career-minded investigative journalist, at a time when many female leads were housewives or secretaries. She showed young girls a different kind of woman on screen: a strong-minded one. Top 3 Favorite Lois Lane-centric episodes: The Wedding of Superman – Lois is elated to receive flowers from Superman, along with his apology for being so busy with a recent crime wave. Thus begins Superman’s courtship of Lois Lane in a truly super-romantic style, culminating in their wedding—but will a lead-concealed time bomb hidden in the wedding cake put a damper on the ceremony? Five Minutes to Doom– In a feverish race against time, Clark, Lois, and Jimmy gather evidence to prove the innocence of death row inmate Joe Winters, scheduled for execution by electric chair at midnight! Superman saves the day (in bravura black and white film noir style), but could not have done so were it not for Lois Lane, who provided key evidence proving Winters’ innocence, via persistent, ace investigative reporting! Disappearing Lois—in this very Lois-centric and comedic episode, Miss Lane concocts an elaborate scheme to “disappear,” leaving Clark confused and flustered, so she can scoop him on the story of the year when she tries to interview infamous bank robber Lank Garrett, just released from a seven year stint in the Big House. Plot twists and hilarity ensue as Lois gets more than she bargained for, and turns the tables on Lank’s henchman with yet another brilliant scheme! The post appeared first on . Welcome back Anime NYC! From November 16th to November 18th, this anime convention returned to the Jacob J. Javits Center in the city for its second year! It’s been awhile since I’ve been to an anime con in NYC. Historically, NYC hasn’t been able to hold on to a big anime convention. Big Apple Anime Fest (BAAF) was ended in 2005, Anime Next skipped town from NY to Secaucus NJ, and the big problems with Anime Fest at NYCC this year. But Anime NYC is promising! With 36,000 attendees (compared to last year’s 20,000) from all 50 states and over 15 countries this con could be on track to outdo Otakon. Otakon has had a series of issues including overcrowding, 3 hour lines and other issues involving the neighborhood (it used to be in Baltimore’s inner harbor but has since moved to DC)! I was amazingly surprised that even at 2 years old, anime NYC seemed to know how to do it right! Sponsored by Crunchyroll and several other staple companies in the anime Fandom world including AniPlex, VIZMedia, Funimation, and many, many more, this convention brought everything we love about anime into the show. There were amazing panels, fun dancing and music, great cosplay, video games and more! Utilizing a much smaller space than New York Comic Con even though they are held in the same convention center, Anime NYC had a much more comfortable feel to it. NYCC, which uses the entirety of the Javits Center, felt like moving through a crowded subway car due to its large attendance, and made it difficult to really enjoy all it had to offer. Anime NYC, on the other hand, has plenty of room to grow and places weren’t packed to uncomfortably full. Lines for merchandise, video games and food (and Starbucks coffee) were all reasonable, and I waited less than 5 minutes. The show room floor and artist ally had a feeling of newness and excitement. I could stroll down each aisle and idly look at all the items without being pushed along or shoved by a massive crowd. There were fun stages set up, a section for arcade video games including Dance Dance Revolution and Soul Caliber, which kept the whole experience interactive. There was also a Sailor Scout Scavenger Hunt, to match their Sailor Moon Crystal voice actor guests; it brought the whole theme together! One of the booths, selling a glowing workout stick, had a DJ and impromptu dance party in the center of the show room floor, pulling participants from the crowd and onto the stage to teach them some moves. There were even fun photo ops’s everywhere! Like this set up, from “That Time I Was Reincarnated as a Slime.” There was a clear feeling of enthusiasm despite the cold weather from con-goers, although that could have been the amazing idea of having a special changing room for cosplayers! No longer will you have to trek through the cold in that thin Sailor Scout fabric! Artist alley was tucked away in a scenic room on the top floor, and offered great displays of art and crafts (I bought an angry cat shirt!) My pockets feel much lighter, but so does my heart. It’s been a long time since I attended a con that had such a great feeling of the anime culture. I will definitely be attending next year’s convention as well, and marking Anime NYC as the new up and coming anime con that cannot be missed. For information on the con, check out their website: http://animenyc.com/ Check out all the amazing AnimeNYC and AnimeNYC cosplay photos below! The post appeared first on . Article by Henry Varona One of my earliest memories as a comic book connoisseur (I say with an air of ironic self-awareness) is of watching the animated pilot on VHS. While the series itself only had one episode, it served as an important introduction to an uncanny force for good that would change my life. No, I’m not talking about the X-Men — though they’re pretty neat — I’m talking about Stan Lee, who charmingly introduced the cartoon and intrigued my imagination. Who was this charismatic voice speaking to me? How did he know so much about the X-Men? Why was his presence so effortlessly endearing? If only I knew then what an impact he would make on not just my life, but the lives of countless fans and the entire comic book industry. Stan Lee was an icon who reshaped the entire comic book industry. Through his landmark writings at Marvel, he helped build a universe of mind-expanding possibilities. Alongside phenomenal collaborators such as Jack Kirby and Steve Ditko, Stan created a modern mythology that changed Marvel Comics into a juggernaut of the entertainment industry. So much of what made Stan Lee special was his ability to see what makes people special. While other publishers were focused on creating characters with limitless potential and a sense of moral righteousness, Stan embedded flaws into all of his creations as a way of making them more human. The X-Men were outcasts, rejected by society for being different in ways they couldn’t control. Iron Man was an industrialist who needed to protect the world from the dangers of his own technologies. Spider-Man was just a geeky kid from Queens who learned the hard way that with great power comes great responsibility. These faults were weaved into the fabric of the Marvel Universe and resonated with an audience that found heroes and characters that they could identify with on a profound level. One of the other great strengths of Stan Lee was his ability to adapt to a changing world. He had a sharp understanding of society’s natural evolution, and he always worked diligently on creating a diverse playground for readers to enjoy. Stan imbedded the Marvel Universe with more than just the adventures of prototypical super heroes. He gave us heroes like Black Panther, Magneto, Falcon, and Black Widow, who defied the perceived cultural and societal norms of the time by having intricately woven backstories and characterizations. These characters created a foundation for a better tomorrow, and opened up doors for even more diverse creations in the years to come (Many of which he oversaw the creation of as a publisher and editor-in-chief for Marvel). For me, Stan’s greatest work will always be his epic run on Fantastic Four with Jack Kirby. To be honest, they defined the word epic for me, with tales of gigantic cosmic beings and enthralling alien races. There was a sense of wonder in those old issues of FF, and the tagline of “World’s Greatest Comic Magazine” really meant something to me. The Fantastic Four were so unique because you could have the impending destruction of New York at the hands of an underwater tyrant juxtaposed with Johnny feeling underappreciated by his family. A maniacal ruler was a jealous genius with mommy issues. Even Reed and Sue, who seemingly had an idyllic relationship, had a complicated dynamic that took time to work through. By subverting the expected norms of the comic book medium at the time, Stan and Jack made a magical book that surpassed all others of the time, and which will forever be embedded in the bedrock of the Marvel Universe. I must also mention the delightful charm of an odd What-If? that reimagined Marvel’s Bullpen as the famed fab foursome, with Stan subbing for Mister Fantastic. Ultimately, Stan Lee’s legacy is that he led the charge to create a world of wonder that countless other creators would play in and expand on over time. His creativity and excitement for larger than life storytelling was appropriate for a man who himself was larger than life. Millions mourn in the wake of his passing, but those same millions are inspired to be better people through his work. Stan Lee was a symbol of hope and good that guided many generations to be their best selves, and that made all the difference. So thank you, Stan. Thank you for Beast, and She-Hulk, and M.O.D.O.K., and Nick Fury, and Cyclops, and Ant-Man, and Thor, and Falcon, and Spider-Man, and J. Jonah Jameson, and most importantly, thank you for being you and making it possible to believe in excitement, heroism, and marvels. ‘Nuff said! The post appeared first on .